Since 1976, Steve's Camaros has been the premiere provider of Chevy Camaro parts to enthusiasts throughout California & the rest of North America! Call now! Since 1976, Steve's Camaros has been the premiere provider of Chevy Camaro parts to enthusiasts throughout California and the rest of North America! 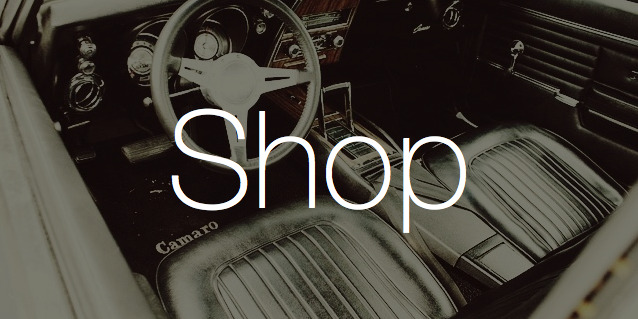 With more than 20,000 parts for 1967-1981 Camaros, we’re ready to get you the parts you need. We believe quality is the most important characteristic of any auto parts supplier, which is why you’ll never receive anything less than excellence from us! When you need Camaro parts in California or anywhere else in the contiguous US, know that you can always trust Steve’s Camaros to deliver. Since 1976, we’ve made it a point to become the foremost authority on Camaro parts and throughout the years since that time, we’ve developed a superior reputation for our ability to deliver both new and used parts for your classic muscle cars. We stock just about any part outside of drive train components for Camaros from 1967 to 1981, as well as a tremendous selection of rare and hard-to-find parts for 1967-1969 models. Best of all, we know just about everything there is to know about Camaros, giving you peace of mind in buying from an expert resource. We can locate and order virtually any part you might require! We’ve been in business since 1976 and have extensive knowledge in Camaros. We’re pleased to stock only GM and Officially-Licensed GM Restoration Parts. Our inventory includes both new and used parts. We carry parts from 1967 through 1981, however we specialize in parts from 1967-1969.